Concremat Engineering offers services covering all phases of the development of enterprises, from feasibility studies to the entry into operation. 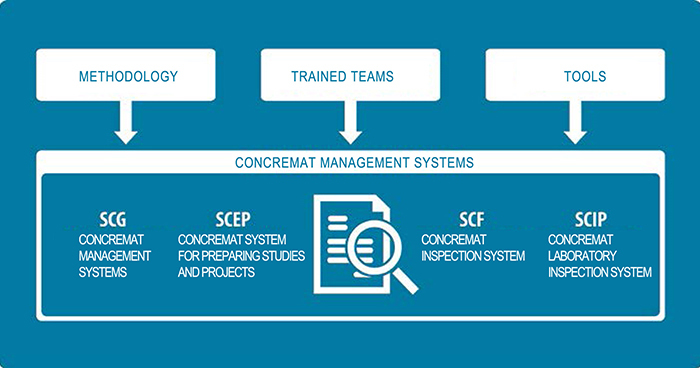 In both the public and private sectors, Concremat Engenharia brings together expertise to study, conceive, design, plan and manage complex investments that require the participation of a large number of agents acting seamlessly, allowing the customer to focus on its core business while we apply our expertise to meeting the time, cost and quality requirements of their investments. One of the biggest companies in the country in the segment, Concremat Engenharia serves the following markets: Transports, Oil and Gas, Private Buildings, Light Industries, Public Buildings, Sanitation, Industry and Mining and Energy. Our portfolio contains diversified services, including developing front-end engineering designs and detailed projects, managing works, works inspection and supervision, Owner’s Engineering and modeling PPPs and concessions, among others. We believe that behind every successful engineering service delivered to a customer there is a combination of three attributes: trained teams, methodologies and tools.